A rainy, chilly Saturday and there is only one thing to do: head uptown to one of my happiest, most wonderful place in the world—the American Museum of Natural History. 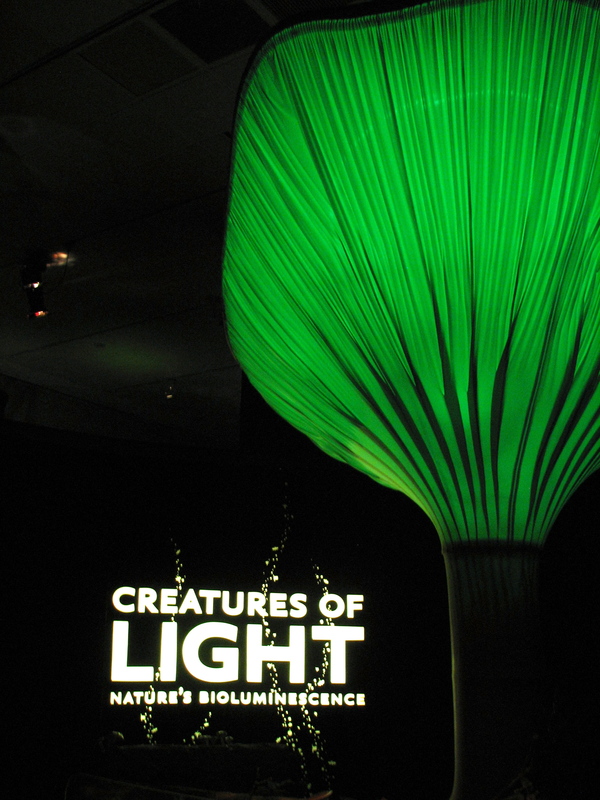 It was the opening of Creatures of Light, an exhibition that explores bioluminescence—its functions, its mechanisms, the organisms that have it, and how scientists study it. Creatures of Light opens with a giant glowing mushroom. Immersive environments will instantly transport you. 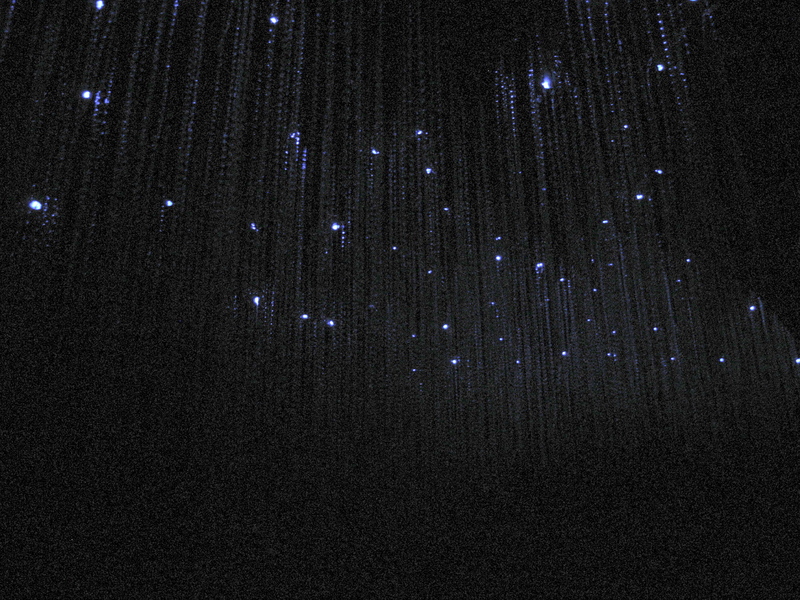 You can climb into a model of a New Zealand cave with magical looking strands of glowworms. You can pretend you are in a bioluminescent bay in Puerto Rico with tiny lights following your movement. 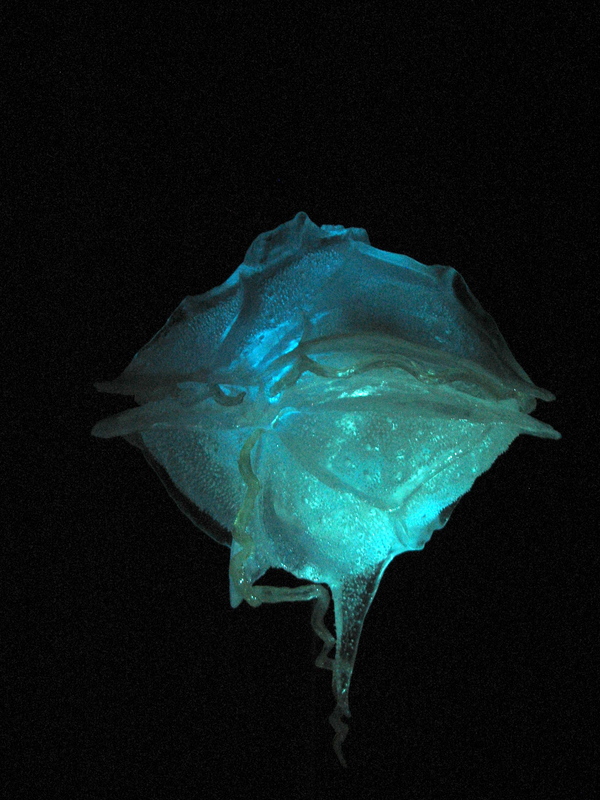 You can gaze at giant glowing jellyfish from the Pacific Ocean. Admittedly, I forget what this is. A worm? A firefly larva? Let me get back to you. I think my favorite was this gorgeous dinoflagellate model. You can even participate in the fun; if you tire of watching the fireflies glow, then pretend you are one by trying to match their mating patterns. Check out the interactive of a fluorescent coral wall that you can explore with one of the exhibit’s iPads. There are also live bioluminescent creatures, such as flashlight fish that are so tiny but fascinating to watch. As always, the immersive 3D models and the interactivity are the key strengths of the AMNH. Although packed with a lot of concepts, it was a joy to get through. 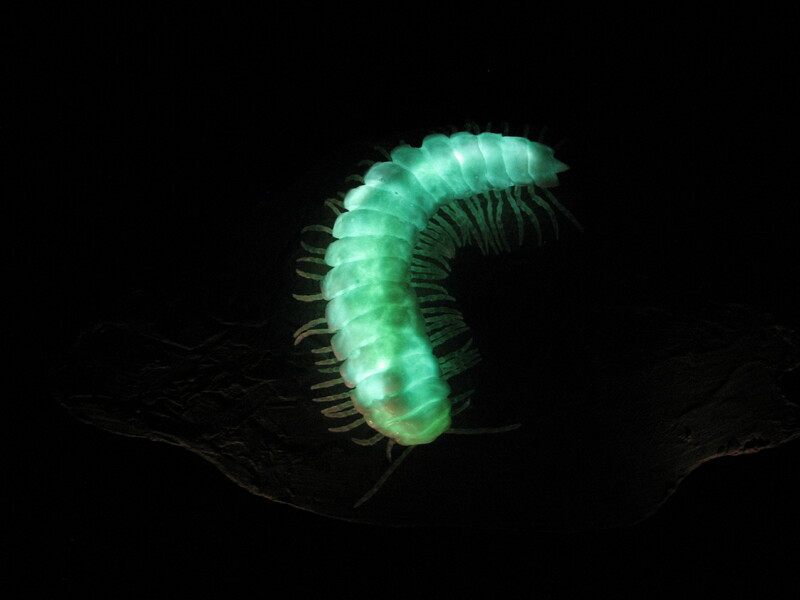 This exhibition is especially memorable for me because I helped research for it during my internship with the exhibitions department last summer, cataloging the bioluminescent creatures that were known and helping to explain to some of them the process of bioluminescence, which I studied in university. This is probably why I recognized most of the creatures there. My boss also very nicely allowed me to play somewhat, which led to me making this tiny encyclopedia of bioluminescent animals. We never got to use it, but it was fun, regardless. On that note, some stills here, back in the day when I had a clay fetish. This was also one of my projects for my prototyping class. You’ll have time to see the exhibition, as it runs until January 6, 2013. I, however, will likely see it over and over again. MATT! Oh wow, where have you been hiding? Heard you got a job at Disneyland! Stay in touch!